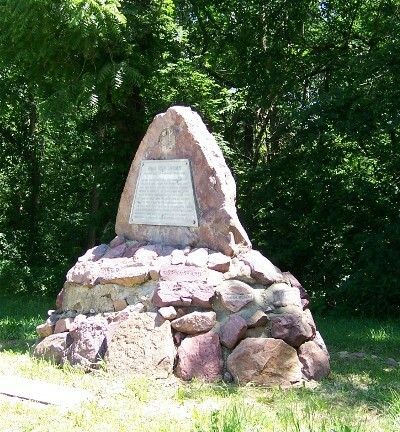 Erected 1933 to commemorate the treaty made with the Pawnee Tribe at Rocky Ford on North Table Creek, 1000 feet east of this site, establishing permanent friendly relations with the Pawnee Indians and insuring safety, prosperity and happiness to the pioneer white settlers. Assembled under the Treaty tree and participating in the treaty were the following named white men, and the Indian chiefs whose names are on the foundation stones. James W. Denver, United States Commissioner; N. W. Tucker; Wm. W. Dennison, United States Indian Agent; Will E. Harvey; A. S. H. White, Secretary to Commissioner; O. H. Irish; Samuel Allis, Interpreter; J. Sterling Morton. 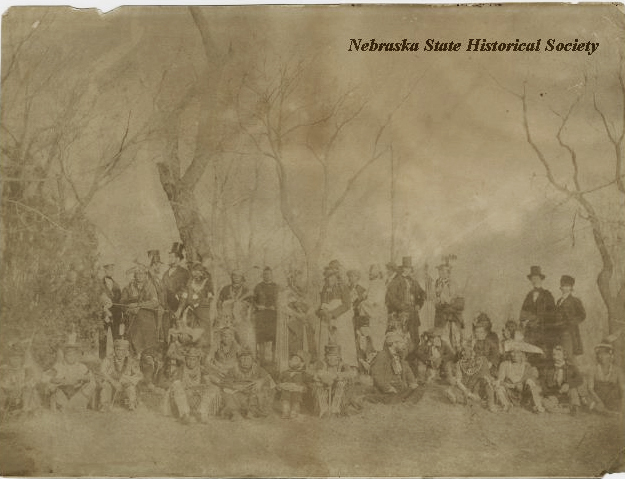 “Indian Treaty Monument,” Explore Nebraska History, accessed April 19, 2019, https://mynehistory.com/items/show/386.